I bought 2016 Vezel last week. It’s driven only 10,000 KM. Took it out for a drive today and it’s hand break is stuck. I can push the button down but it won’t come up. Luckily hand break failure happened when it was not applied so the car moves unlike some members who had to call tow truck. Has anyone faced this issue or can suggest resolution. The warning message looked like attached one. how much you paid to buy? Now getting brake switch changed for 30k. Apparently it’s a issue with Vezel. I want to join the whatsapp group too. Who do I message? How to join watsapp group??? I really havent heard much of this. Does the brake not release ??? Any body got the DCT cooling oil changed. Its Dot-4 fluid. 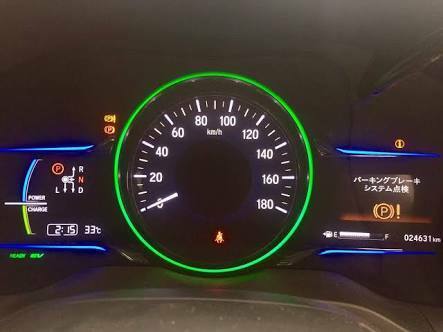 I am a owner of a 2014 vezel hybrid z. I have noticed that vezel's hybrid battery not getting fully charged at all. The main engine has stopped charging battery before fully charged. Is it normal for hyrbrid or i should go for a check up? Assalam o Alaikum, Please add me to the WhatsApp group.